Having a well-established plan and the appropriate resources in place is essential to a successful Loss of Exclusivity (LOE) strategy. CSL offers a range of solutions tailored to your brand’s reimbursement environment to support your product before and during LOE. Let CSL help design the best strategy for your product. CSL offers product branded cards that can be placed in the market before or during LOE to ensure your brand is top of mind for physicians. From e-sampling to patient choice, the branded card program can be tailored to your product’s LOE environment and the needs of your patients. Corporate or therapeutic area cards support multiple medications from a single company or within a therapeutic area. These cards offer an effective and efficient option to manufacturers with a wide portfolio of products. RxHelp ONE is a patient choice program with over 70 participating brands from more than ten pharmaceutical companies. 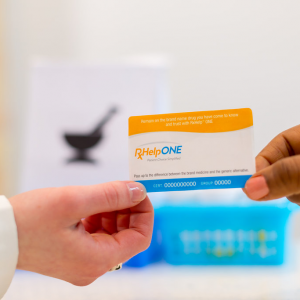 Unique to RxHelp One is its “single certificate technology.” This technology allows all patients in a province to use a single card number, which simplifies the registration process for pharmacists and facilitates easy card distribution and promotion for brand managers. Visit RxHelpONE.com for more information.